Runtime 9 Hrs. 48 Min. Author did really well with the characters. I felt all the emotions right along with Kate. Great writing, great story. This is one of the best written books ever. I love it. Julianne Donaldson is an amazing author—one of the best authors I’ve ever read. Cassandra Campbell does a fantastic job reading this story. Thank you both for this adventure. This book is a great read, the author gives you all this information and feelings of the characters and yet I still had no idea whay was coming next! I definitely recommend this book. Loved this book. So much emotion! I was really disappointed with this book. The plot was awesome and original, but I feel like it got too 'warm' in some places and it wasn't something I'd want to read in the prophet's presence. You can do better, LDS authors! A book that is hard to put down. I absolutely loved reading Blackmore. I believe that Julianne Donaldson has become one of my favorite author's. I will be looking for anything and everything she writes. Blackmoore is a beautifully written story. Kate Worthington comes from a dysfunctional home. She lives a life of privilege. But the price is high for her comforts. Her mother is more concerned with wealth and making pushing her daughters into marriages of convenience and profit than of their emotional stability or well being. Kate's goal is to be a very different person than her mother. She doesn't want to flirt with anyone and everyone or have a marriage of disdain. She wants to be free, to live a life of adventure, to make her own decisions. Henry is her closest friend. He is also the one that she loves. There are circumstances that are keeping them apart. She wants to travel to India with her aunt to keep herself and Henry free. I really enjoyed that Julianne used chapters revisiting Kate's life. It helped me to understand her and the reasoning behind her decisions. It also showed how much compassion Kate has for others. It made me feel sorry for the young girl who endured many things. This is a book that I would love to revisit again. It is a clean romance that reconfirms my faith in the power of love and the possibility of a happily ever after. The lucid descriptions bring me back to a classy embarkment of a tale of romance that keeps you turning the pages, wanting more. Donaldson paints a beautiful picture on every page of this novel, I was captivated and impressed with not only the story line, and the exciting twists in the main characters story, but the author's willingness to open your eyes to the secrets, and heart of one adventurous Kate Worthington. The main character, Kate Worthington, struggles with a secret she promises never to tell, her only sacrifice ends up being the only man she really truly ever loved. Her heart belongs to BlackMoore and has since the day her friends Henry and Sylvia told her of their manor on the cliffs. Secrets and mysteries are uncovered slowly, but in good fashion as the author keeps you salivating for more of Kate Worthington and her desires to be free. To read a classy romance, filled with chivalry set in a classy time is a breath of fresh air, Donaldson writes freely and confidently, and I would recommend this book to anyone looking for an escape, but beware, your time getting to know Kate and her secrets goes by all to fast as you will not be able to put this book down. Wonderful Love story. One that I will let my kids read. Loved this book. I couldn't put it down. I stayed up way late into the night. I guess I shouldn’t have started reading it after dinner. I was even reading it when I was cooking meals that’s how much I hated to put it down. It's one of my new favorites. Right up there with Pride and Prejudice. I loved how the author developed her characters. She made them so real. She has vivid descriptions throughout the book. It made it very easy to picture what she was talking about. I kept waiting for Kitty and Henry to realize how they felt about one another. I loved how we were kept in suspense as to why Kitty said she would never marry. I found myself sad, getting angry and laughing at some of the characters. I loved the scene with the grandfather. It reminded me of trying to talk to my grandmother. This is a book that I will let my kids read. 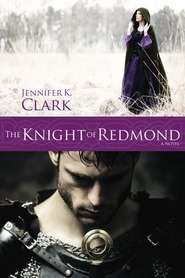 It is a wonderful, well written and clean romance story. I love Julianne Donaldson's books! They are some of my favorite books ever. Even though there is only two so far, I hope there will be many more. I truly loved this one just as I did Edenbrooke. This one though touched my heart in unique ways. Maybe it's because I really felt for Kate and her desire to determine her own future. Maybe it's the way she struggled to figure out what her heart really wanted and what the right thing to do was. In any case, I loved Kate and Henry and their love story. I did have a hard time reading about their mother's however, both of whom were selfish jerks who cared much more for appearances and position, and society than about the happiness of their children. The way they tried to manipulate and use their own children made me want to seriously punch them in their respective noses, and I am not a normally violent person. The story reminded me that sometimes choices have to be made between what we want and what we want most. Kate and Henry must both face some difficult choices. Choices of the heart and choices of the mind. Kate desperately wants to escape what she calls her 'cage' and experience the world and her aunt's invitation to accompany her to India seems like the perfect opportunity, if only her mother would agree. 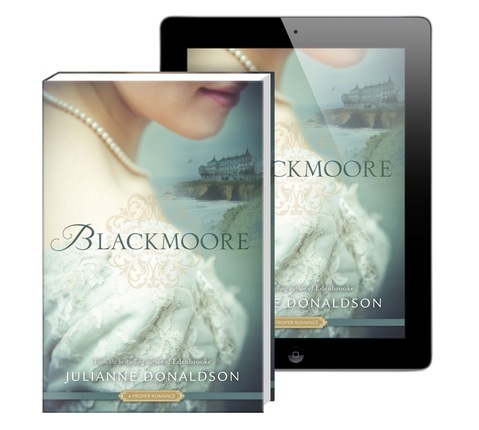 After making an agreement with her mother, she sets off for Blackmoore, soon to be Henry's home, determined to avoid marriage, but Henry has other plans. I loved the scenes with Kate and Henry, they made me smile. And nobody writes heart-wrenching kissing scenes like Julianne Donaldson. Another book for the favorites shelf. Love the complex characters in this book! This book is awesome! I love Kate, I love how her family calls her Kitty, but she's stubbornly trying to reinvent herself as Kate. I love the idea of a large estate on the ocean with tons of secret passages to hide in. I really loved all of the characters in this story, they are all so complex, at first you think that their motivation is something other than it ends up being. 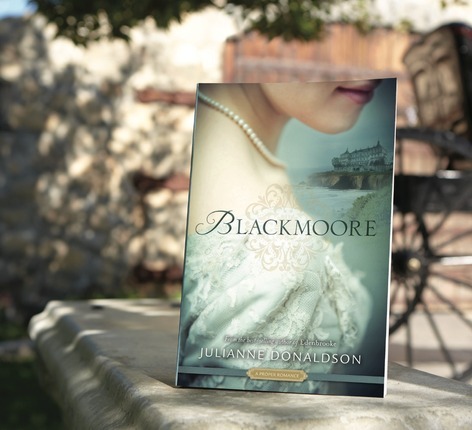 Julianne Donaldson is a master of making you think you are where the story takes place, I could imagine the setting of the house Blackmoore on the moors of England with the ocean behind. The plot is complex, and engaging. The story didn't end at all how I thought it would. And, of course, I love the cover too! I can't wait to read the next book by Julianne Donaldson! And I could go on and on about this breath-taking book, for it truly is a definite must-read for anyone who loves a good love story like I do. Kate has been keeping secrets from her two best friends, Henry and Sylvia. Secrets too terrible to reveal. Secrets that have made her determined to never marry! Instead she will travel to India with her aunt and leave the trapped feelings she has of being at home. But Kate's mother has always wanted her daughters to marry...so she bargains with Kate. Kate must receive, and then deny, three marriage proposals at the summer gathering in the Blackmoore manor before she can travel to India. Can she find 3 men to propose to her? Can she find the escape her heart so desires? Read this fabulous book to find the answers found in this one woman's secretly locked heart...you will be so happy you did! I have Edenbrooke but have to admit, I haven't read it yet. Busy, busy, busy, I guess. I got Blackmoore as an ebook and it was easy to carry with me so I started it and just couldn't put it down. I don't read a lot of fiction, but when I do, I want it to be light, uplifting, heartfelt, and sweet. This was all of those things --- the perfect "something" to lift me out of the (sometimes) drudgery of the world. I thoroughly enjoyed it and am on to Edenbrooke now! Kate Worthington comes from a loveless family. Her mother and her sisters only want what is best for them, even at the expense of others. Kate is nothing like them. What Kate wants most in the world is to go to India. Her deplorable mother wants her to marry Mr. Cooper. That disgusts Kate, mostly because she said she will never marry. Her best friends are Henry and Sylvia Delafield. Every year they go to Blackmoore, the estate which Henry will inherit, and Kate has always wanted to go. She finally gets her chance, but she makes a deal with the devil. Her mother. Everything about this book is beautiful. The story, the setting, the characters, even the not so nice ones. 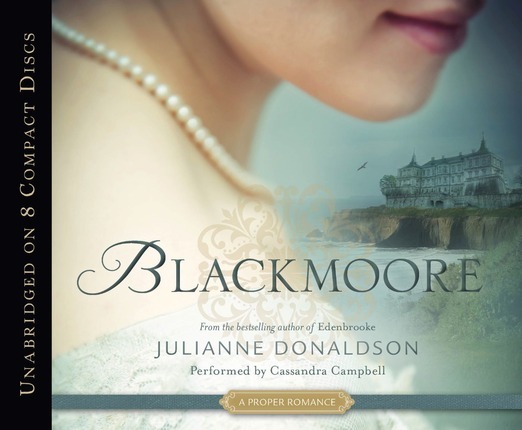 As much I loved Julianne's first book, Edenbrooke, I loved Blackmoore even more. I was instantly taken into Kate's world. Although she is a stubborn character, I enjoyed her sense of adventure and I loved that she knew what she wanted. Even though it may not be what her heart wants. I enjoyed her walks in the moors, her exploring the manor, and I especially loved it when she was with Henry. There is a scene where they are on the beach together talking that I read several times. There are some complications with her relationship with Henry. I can't give anything away, but I could not put this book down until I was finished. I had tears in the eyes many times, and the tears at the end were from happiness. 5 out of 5 stars. Edenbrooke won Best Romance for a 2012 Whitney Award and Julianne also won the Whitney for Best Novel of the Year for a new author. Kate "Kitty" Worthington is determined to never marry. She bides her time waiting to go on a promised and long desired trip to Blackmoore, the estate of her dear friends Henry and Sylvia, Kate knows that once she escapes the confines of her home and the weight of her oppressive mother she can at last be free. Free from marriage to a wretched old man, free from her tedious life and free to go to India with her aunt Charlotte. 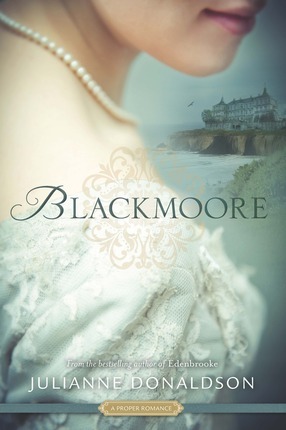 Kate's sly mother has other plans for her though, telling Kate that she will be free to go to India only if she receives 3 proposals of marriage and declines them during her visit to Blackmoore. Kate thinks that her mother's bargain shouldn't be too hard...until she arrives at Blackmoore. Upon arrival she discovers that she wasn't really invited and Henry's intended bride is there as well bringing long suppressed emotions to both Kate and Henrys friendship. 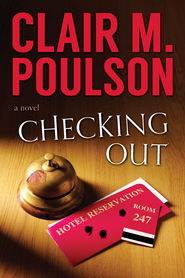 Afraid that her plans to travel with her aunt are in jeopardy, Kate asks Henry, her friend, confidante, and the man who has secretly held her heart since childhood to help her...with unexpected results. I found it very hard to put down; wanting to know how Kate would manage to work things out, despite the devious grasp of her mother. The vivid descriptions of the characters brought them to life in the imagination, and the scenes of the house and countryside made it seem like you were there. Kate could be so frustrating at times and Henry so feeling. Even though I did not agree with all of Kate's thoughts and actions, it made fascinating reading. It showed how family members can affect each other. A page turner! Kate had some very similar character/thought processing traits to Marianne in 'Edenbrook'. It was almost annoying. BUT the storyline was worth the read and I hope that Julianne keeps writing! 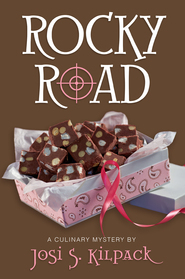 A must read for any romantic!